We offer specialist cleaning services to commercial and residential customers in Birmingham and surrounding areas. We can help with window cleaning, gutter cleaning, fascia and soffit cleaning, conservatory cleaning, moss removal and even pressure cleaning of your driveway or patio. By using Sky Vac professional gutter cleaning vacuums and cameras alongside water fed poles for our cleaning we are able to work quickly and efficiently. Our operatives are able to work safely from ground level without any need to use potentially dangerous ladders. 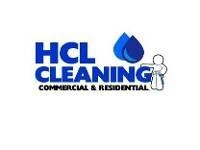 HCL cleaning is a family run business and was established in 2011. We take pride on always providing the best service possible and this shows with our repeat bsuiness and client referrals.